A producer co-operative is a business entity owned and controlled by other businesses, often small and medium enterprises like family farms. It enables businesses to band together to find strength in numbers. Below we document two types – producer co-operatives and enterprise co-operatives (or purchasing co-operatives). A producer co-operative is a business entity owned and democratically controlled by producers who band together to process or market their products. An example is a dairy co-operative, which enables farmer members to process their produce and access markets collectively, giving them better bargaining power and increased prices for their goods. The co-operative is the key market for the members’ products, and is owned by the members who sell or buy its products and services. Producer co-ops, which can also be called marketing co-ops, have existed in Australia for a long time. The first known producer co-operative in Australia was a dairy co-operative in New South Wales founded in 1880: the South Coast and West Camden Co-operative. A problem for farmers at the time were the “middle men”, who combined together informally to drive down returns for farmers at no benefit to consumers. The co-operative worked instead to deliver fair returns to farmers at fair market prices for customers. An enterprise co-operative (also known as a purchasing co-operative) is a business entity formed to purchase and supply goods and services at competitive conditions in the interest of members, who own and control it equally. An example is a wholesaler for independent retail outlets, which purchases goods in bulk and sells them to members, giving them better bargaining power and lower prices for the goods they need for their business. Purchasing co-ops, which can also be called wholesale co-operatives, have been formed by plumbers, the automotive industry and others to obtain supplies at lower prices due to the power of group buying. Other services may be available to members, including marketing, finance, training and travel. Other types of wholesale co-operatives include agricultural, grocery, liquor, seafood, travel agents, furniture, hairdressing, toys and newsagents. Almondco Australia supplies premium quality almond products to the world. It processes and markets the crops of more than 85 per cent of Australia’s almond growers. Almondco is grower-owned and operated and produces more than 100 different almonds varieties. 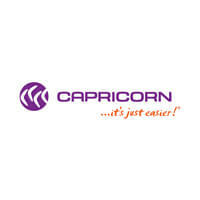 Capricorn began in 1970 when 12 West Australian service station owners combined their purchasing power to attempt to level the playing field with the big multinational oil companies. With pooled resources, they were able to buy competitively priced goods and service benefits. Today, Capricorn is Australasia’s largest co-operative in the automotive parts buying industry, with 17,000 purchasing members across Australia and New Zealand, 2,000 of which supply goods and services to other members. Its member-focussed integrated business support includes equipment finance, travel services and business protection. 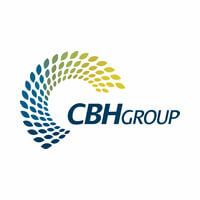 CBH is Australia’s biggest co-operative, entrusted with 85 percent of Western Australia’s annual grain harvest for storage, handling and transportation. Almost as old as the WA grain industry itself, CBH’s bulk handling system has worked in partnership with WA grain growers as the backbone of the State’s rural economy. CBH is controlled by its 4,200 active grain grower members and exists for their benefit and the advancement of the grain industry in Western Australia.